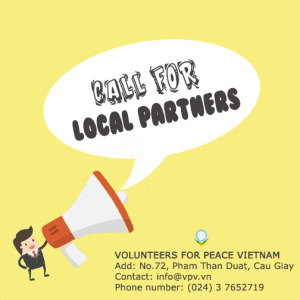 Volunteers For Peace Vietnam (VPV) is looking for 03 Vietnamese volunteers to support a group of Singaporean volunteers in a project to help the community. All expenses for your accommodation and food during the programs will be covered by VPV. - To do manual work with international volunteers such as drawing and painting the walls, carrying mortar, bricks, mix cement to support local workers to build the kindergartens, classrooms, do gardening, etc. 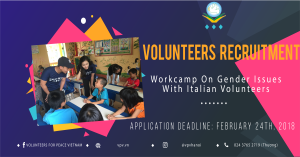 - To work in teams with international volunteers to organize lessons, games and events for kindergarten children. 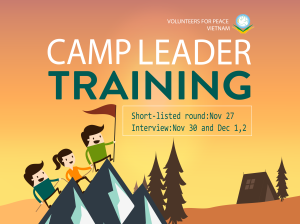 - To assist work-camp coordinator to prepare logistics and other tasks upon requests. 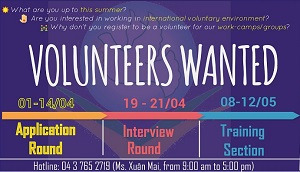 - Opportunities to work, communicate and be friends with international volunteers. 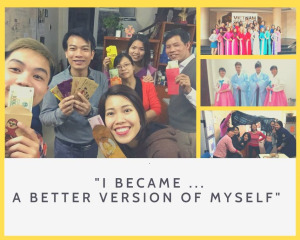 - To be a part in meaningful activities for community development. - The chance to enhance English skills, team work, cross-communication skills. - Are confident in speaking English. - Have strong passion for social and voluntary work. , you are the one that we are looking for!